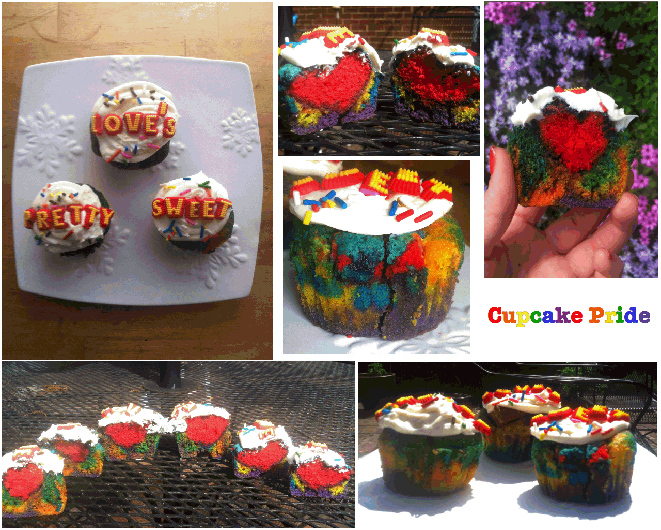 "I baked these cupcakes to show that love is achieved by embracing and celebrating all of our unique personalities. putting a heart inside the cupcake. A lot of attention to detail.